Please note that that we are not prepared to participate in the dispute settlement process under the European Online Dispute Resolution Platform. Please use our e-mail and phone number above to contact us. The free and freely accessible contents of this website were created with the greatest possible care. However, the provider of this website assumes no responsibility for the accuracy and timeliness of the provided free and freely accessible journalistic guides and news. Contributions marked by name reflect the opinion of the respective author and not always the opinion of the provider. Simply by calling up the free and freely accessible content, no contractual relationship between the user and the provider is concluded, in this respect it lacks the legal binding will of the provider. This website contains links to third party websites („external links“). These websites are the responsibility of the respective operators. The provider has checked the third-party content when first linking external links to determine whether any legal violations exist. At that time, no violations were evident. The provider has no influence on the current and future design and content of the linked pages. The setting of external links does not mean that the provider accepts the content behind the reference or link. A constant control of external links is not reasonable for the provider without concrete evidence of legal violations. However, in the event of legal violations, such external links will be deleted immediately. Our dive center is located at the beach of Dunat. 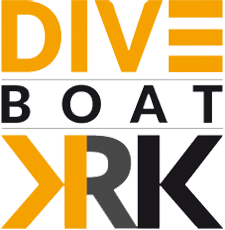 From here we start our daily dive tours to the most beautiful and popular dive sites around the islands of Krk, Plavnik, Cres and Prvic. 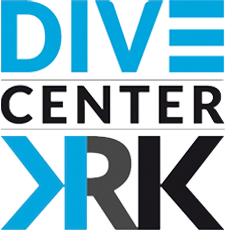 Diving courses from beginner to professional with certifications from PADI, CMAS and IAC start several times a week with DIVE CENTER KRK. In addition, we offer you many extra services such as night diving, land diving, wreck diving, children diving, introductory dives, Nitrox diving and much more.